Hello! We are Fluffy Kitty, but you can call us by our first names, Brittany, Paul, and Yoda. Where do we come from? I grew up in the Blue Ridge Mountains in North Carolina, USA. I have been an avid animal lover all my life, which is no surprise since I grew up with 25 animals; including cats, dogs, horses, rabbits, and a dozen parrots. The other creator behind Fluffy Kitty is Paul. Paul’s a native of a tiny little French village in the beautiful department of Ardèche. Contrary to myself, Paul grew up with one family pet – his labrador Pimky. Paul and I met in college in 2011, my freshman year and Paul’s gap year. In 2013, I moved to France for a year for my studies. During this time I often longed after having a kitty of my own again. After we returned to the States in 2014, I really stated my case to Paul for why we NEEDED to get a cat (hehe). Together we made a decision that would change our lives forever. After only two weeks of being back home, we walked into a local animal shelter in Johnson City, Tennessee. A fluffy, gray kitty – with big, green eyes and large paws – was waiting for us. We excitedly welcomed Yoda in our family that day. Now, 3 years later, Yoda has traveled with us around the world. He’s probably lived in more countries than the average person! From the USA to Nepal, from France to the Netherlands and Belgium, Yoda has discovered life in four different countries – and counting! Next year we plan to head to Mexico, so Yoda’s passport will get “stamped” once more! Q2: Tell more about the inspiration behind Fluffy Kitty? It was funny, really. We, like most people, don’t enjoy having this stinky, unsightly litter box out in the open in what was already a small apartment. So one day Paul got out his tools. We found left-out wooden crates, discarded by big shops. And we bought some paint, too. For a week, Paul dedicated all his free time to building Yoda a homemade litter box enclosure. From the drawings to the creation, Paul oversaw it all. 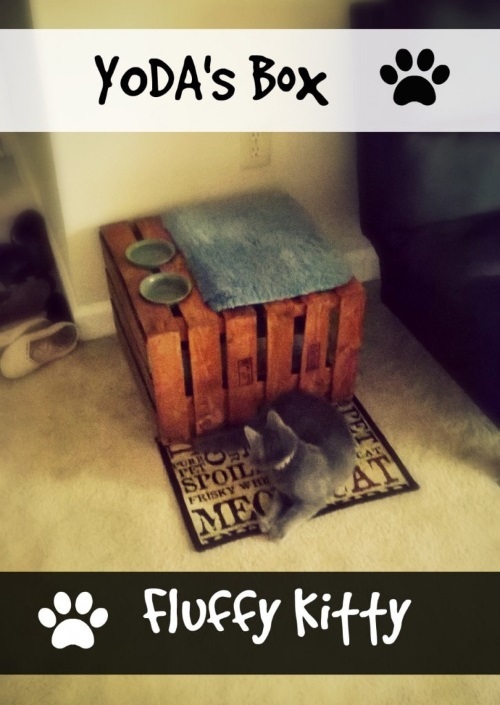 The result was a DIY litter box furniture just for our little Yoda. He had a fancy bath mat on top to sleep, and cut out holes for his food and water bowls to be placed. It wasn’t perfect, but it was homemade with love and Yoda knew right away it was for him! So one day we just got the idea to start writing about cats, specifically by helping other cat pawents create their own DIY cat furniture for their fluffy beasts. Funnily enough, this is why our url is different than our blog’s name, Fluffy Kitty. So what started as a small cat furniture blogging project turned into so much more! All thanks to Yoda. Q3: What do think makes Fluffy Kitty so fun to read? We are real people with real stories. Our articles are crafted to be both informative while still remaining fun to read! We often share personal stories of our experiences with Yoda, and this really brings a sense of personality and community to our blog. We live and learn, and we love to share these lessons and experiences with our Fluffy Kitty readers. The fact that we can manage to travel with Yoda, too, makes us stand out. 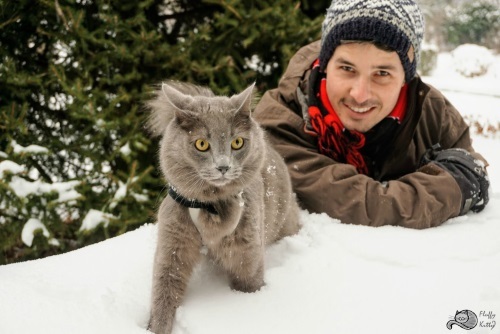 There’s a handful of adventure cats in the world, and we love that Yoda can be able to move with us anywhere. 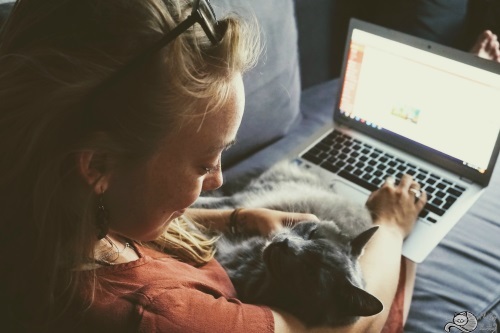 We like to think that this lifestyle can show other people that owning a cat doesn’t mean you have to be grounded in one place. It also serves to change the typical stereotype about cats not being as flexible as dogs. Yoda loves his harness and leash, just as much as a dog loves to go out for walks! Q4: How do you see Fluffy Kitty developing in the future? We would love to continue sharing Yoda’s life with our readers. Ideally, we would like to branch out and brainstorm about how we can help give back through our blog. 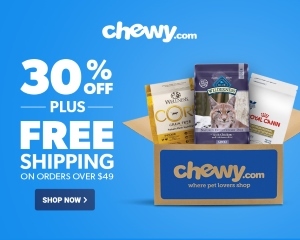 Hopefully one day, Yoda will help Fluffy Kitty in launching its own product that benefits local businesses and provides a commission or provision of goods to animal shelters. Since Yoda is adopted and so special to us, we want to reach and inspire more people to adopt and not shop when looking for a companion. Yoda has the influence to be a “role-meowdel” and ambassador for adoption, so we would love to move in that direction. 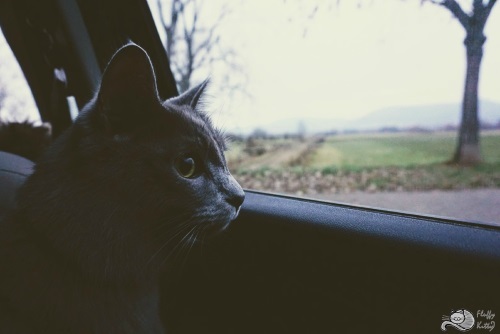 We also want to spread the word about traveling with your cat. People often deem it impossible, but through our experience we would like to show how it’s possible and how we do it. As Lilo & Stitch quote, Ohana is family and family means nobody gets left behind or forgotten. We feel the same about our sweet boy Yoda!